Commitment Model – The user makes small amounts of effort toward filling out the form. At some point, they reach a subconscious conclusion that they have gotten this far and they might as well finish instead of wasting the time they put into it. This can be seen on long scrolling landing pages and on form funnels that have multiple pages. Do you want to live a long time? Isn’t pollution bad for your lungs and will make you sick? Is $9.99 a week worth living a long time? How many bottles of our pure air do you want to buy? The “Yes” model is used in both the page copy as well as making small clickable actions. For example: Entering your email, downloading a white paper, free trial, or final purchase. A number of tests have been done on forms, such as how to present them and how many fields. The bottom line is to test it yourself for your audience and corporate requirements. The best forms only ask for email, so think about other ways of getting the information you need. For example, if you are going to call every lead, ask them where they found you and their industry, etc. The presentation can be all at once or over multiple pages. The multiple page form works well because it builds commitment from the user. They feel in control and feel like they have already committed themselves, so they continue. A typical scenario is the first page has an email or an email and name and the second page has the URL, company, address, etc. Not having the form on the page is also worth testing. In this scenario there is a “call to action” button that when clicked, opens a pop-up with the form. This works the same way by having the user feel in control and committed to fill out the form. If you are using a sophisticated system, you can ask a large number of questions, but only ask a few questions each time they visit the site. This is a way to build a profile of the user over time. Is it better to have the label on the top, left or inside the field? For non-standard fields, questions on the left or top are best. How should error detection be setup to reduce errors in email and other fields? Immediate notification of an error is better than learning about it after clicking the submit button. I think it goes without saying that a long form usually has less conversions than a short form. When creating a form, there is often conflict between what marketing wants to collect and what are the bare essentials needed to open an account. In most cases, an email address and name are enough to get started. Additional information such as company, phone, and address can be obtained in later interactions with the user. 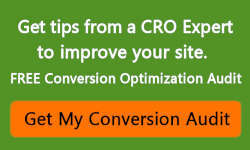 Tip: Each field can cause up to 5% drop in conversion. So think carefully about any field you want to add. Test your form metrics by measuring the time it takes for each field to be filled out and see which fields do not complete and leave the page without submitting. Which converts better, having the text and image on the left and form on the right, or vice versa? Tests have shown conflicting results, although more often the form on the right with the image and benefits on the left converts better. However, you should test it for your particular audience. Landing page with the form. Landing page with one or two fields and the next page having the rest. 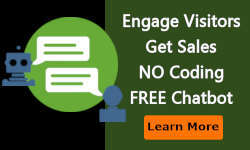 Lead generation companies have mastered this. Look at sites that offer insurance quotes. Landing page with a couple fields and then additional data gathered in later interactions with the user. Another way to gather this data is using systems that combine all contact data to get a complete profile of the user. Smart or intelligent fields. These are fields that only appear if the data is not already collected. These are nice because you can ask two questions every time the user comes to a form and they will be different each time, which creates a nice profile about the user. Landing page with a button to fill the form out. When the button is clicked, a pop-up has the form information. 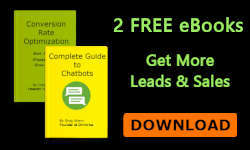 These are starting to gain popularity because of higher conversion rates, which may be due to the user feeling in control of the decision instead of being forced to answer a question. Tip: A/B test the placement of your form. In some cases, forms on the right side of the page convert more than the left side. Once a form is completed, the thank you page confirms the action. This is a great page to start the next set of conversions down the sales funnel. You have the user engaged and keep them engaged with another offer or more detailed information on the subject.